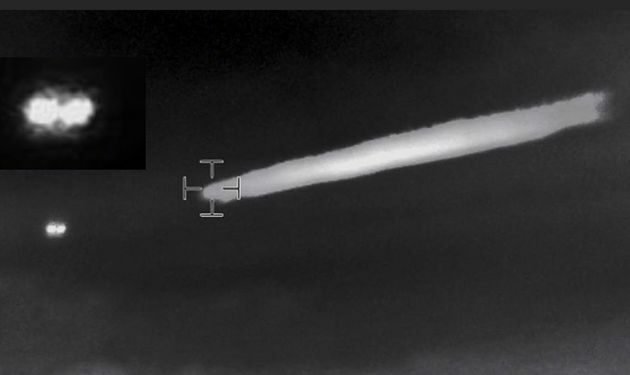 Leslie Kean's new Infrared UFO Video from Chile - Solved? 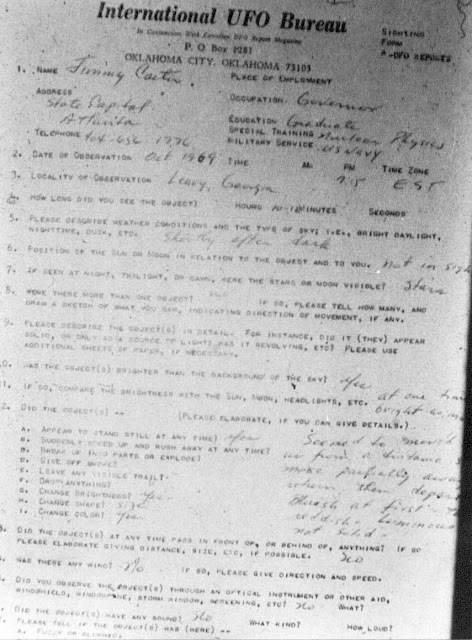 Leslie Kean is a well-known UFO writer, author of UFOs: Generals, Pilots, and Government Officials Go on the Record (2010. See my review of it here). In recent years Kean has been working with the CEFAA, an official organization within the Chilean Air Force to investigate UFOs (similar to the now-disbanded Project Blue Book in the U.S. Air Force). In 2012, she promoted a newly-released "UFO video" by CEFAA, asking provocatively "Is this the case UFO skeptics have been dreading?". In the end, the much-hyped "UFO" turned out just to be a fly buzzing near the camera, and all those Chilean Generals and Pilots and Government Officials who pronounced it authentic were full of baloney. 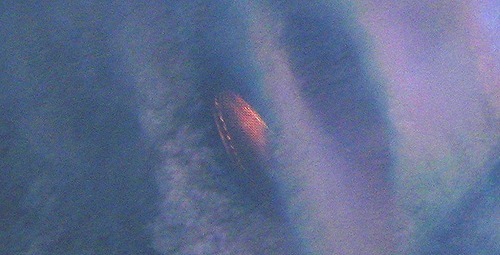 The now-retired blogger Kentaro Mori explained in 2011 that the CEFAA's supposed "world's best UFO photo" appears to be nothing more than a reflection on a car windshield. 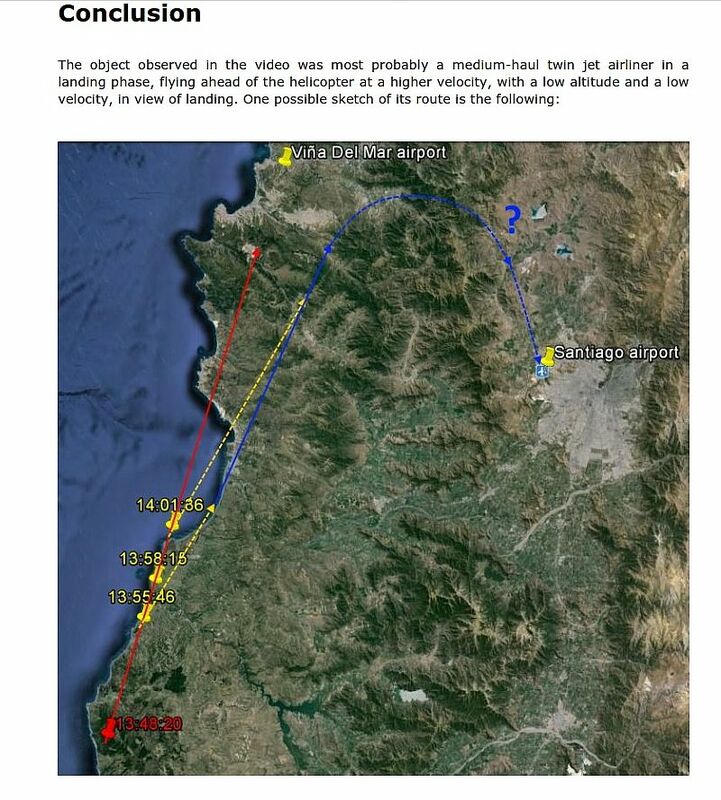 The CEFAA, a government agency investigating unidentified aerial phenomena (UAP) within the department of civil aeronautics (DGAC) in Chile, has released a summary of its meticulous investigation into the relatively recent “AGA case.” The acronym “AGA” refers to the prestigious Air Force War Academy (Academia de Guerra Aérea) in Santiago, Chile, which provides training for high level Air Force officers. The sighting of unexplained lights in formation at the Academy was video taped on two cell phones. Due to technical problems, the videos are not accessible on the CEFAA website. By "technical problems," she apparently means that none of the Chilean Generals, Pilots, or government officials could figure out how to upload a cell phone video to a website. However, since that video only showed indistinct lights in the sky, taken on a shaky camera, practically nobody else got excited about this case. Kean took time out from UFOlogy to write a book presenting "evidence for an Afterlife." 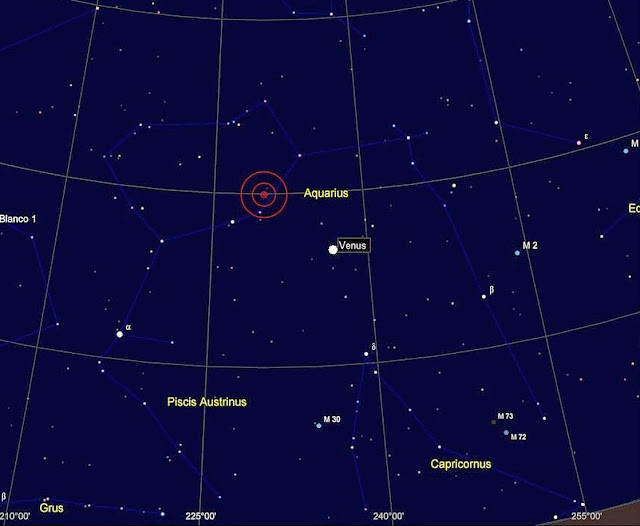 The object and its "envelope," according to astrophysicist Luis Barrera. CEFAA caption: "The object moved away from the massize plume it ejected just moments earlier. " In France, a group called IPACO specializes in "Analysis of photo/video documents of alleged ufos." They investigated this video, and produced a sixteen-page report, completed November 26, 2015. They performed a highly technical analysis of the video. 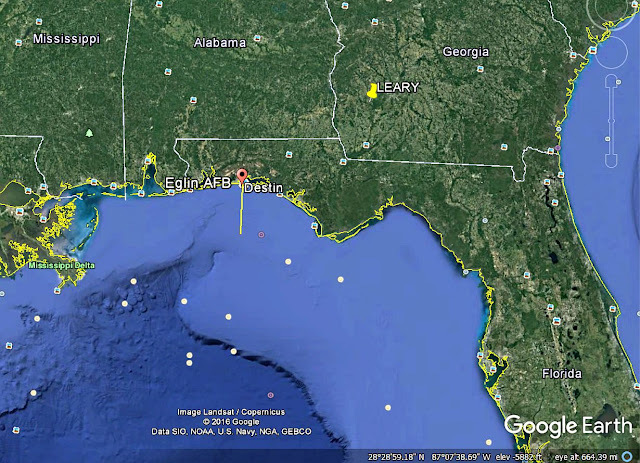 Their conclusion: "The object observed in the video was most probably a medium-haul twin jet airliner in a landing phase, flying ahead of the helicopter at a higher velocity, with a low altitude and a low velocity, in view of landing." This looks like a plane, flying away from the camera considerably higher than the helicopter (somewhere around 15,000 to 25,000 feet), that briefly creates an aerodynamic contrail. 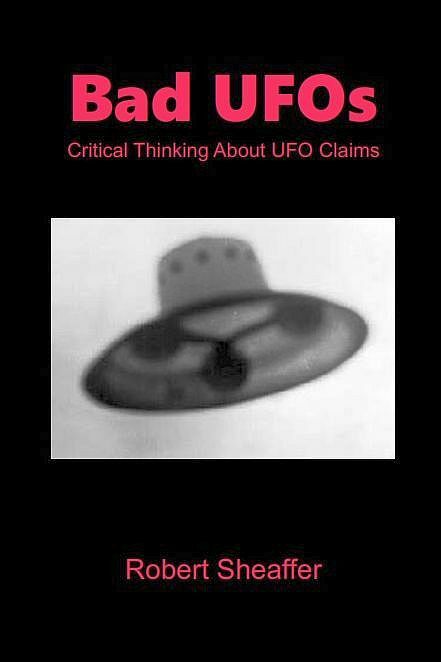 As the French skeptic Gille Fernandez noted, we have a situation here where a major UFO case was solved by 'amateurs' in two or three days, after having been unsuccessfully investigated by "experts" for two or three years. The same thing happened with the "Roswell slides" in 2015. There are many holes in this flight LA330 hypothesis. First and foremost is that the Chilean authorities would have easily determined this to be the explanation if indeed it were. 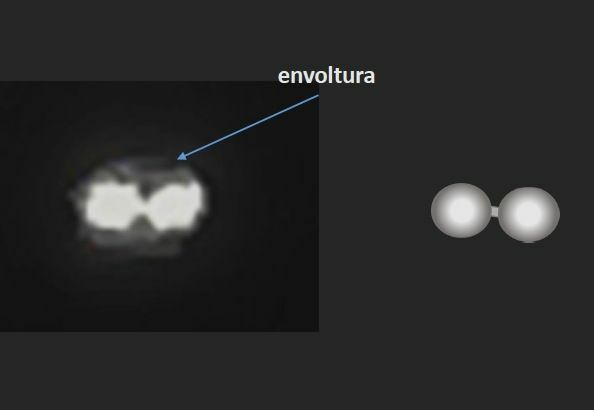 Those same Chilean "authorities" who gave us the El Yeso reflection UFO and the El Bosque fly UFO video? She has a lot more confidence in them than I do.